This pop-up farm comes complete with panoramic views, pastures, fields, gates, a well preserved period farmhouse, stables, pigeon loft, stream, mill house, working waterwheel, pigsty and many other delightful details. Fully displayed the pop-up farm offers a rigid layout ready for a child to fill. This pop-up farm comes complete with panoramic views, pastures, fields, gates, a well preserved period farmhouse, stables, pigeon loft, stream, mill house, working waterwheel, pigsty and many other delightful details. 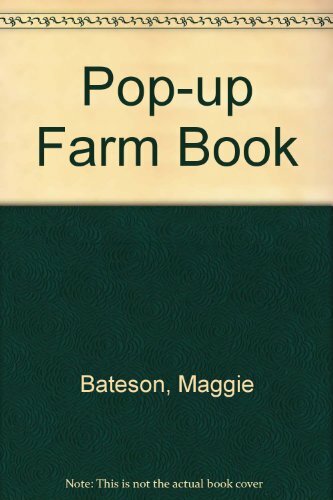 Made with care and precision, fully displayed the pop-up farm offers a rigid layout ready for a child to fill up with flocks of sheep, herds of cows, gaggles of geese, the whinging farmer, his long-suffering wife, the family, their tractor and car.